Have you had the Pinkola Estes experience? Jung said that dreams don’t only happen when we’re asleep, but all the time, waking and sleeping, throughout our lives. The unconscious mind is continuously producing images and narratives, but we’re only aware of it during sleep because then the distractions of waking life are stilled. The movement between the conscious and unconscious areas of the mind is like a breathing in and out. Products of the unconscious mind emerge into consciousness – inklings, intuitions, emotions, instincts, senses, desires, before we have had time to formulate them into conscious ideas – and everything you have ever consciously known but don’t currently need to remember sinks into your unconscious mind, where it may lie undisturbed for years. Because everything you have ever known is in there somewhere, it isn’t uncommon to have the experience of a name or piece of information you vaguely recognise but can’t recall where from suddenly popping up in your mind in response to something that’s happening in your life. This happened to me recently when I was planning some new courses. One of the ideas I was considering was an all-women group, and another was writing from myths – I do a couple of sessions on myth in my ‘Writing in the House of Dreams’ workshops, but not a whole course. That night, I dreamt about someone called Pinkola Estes. 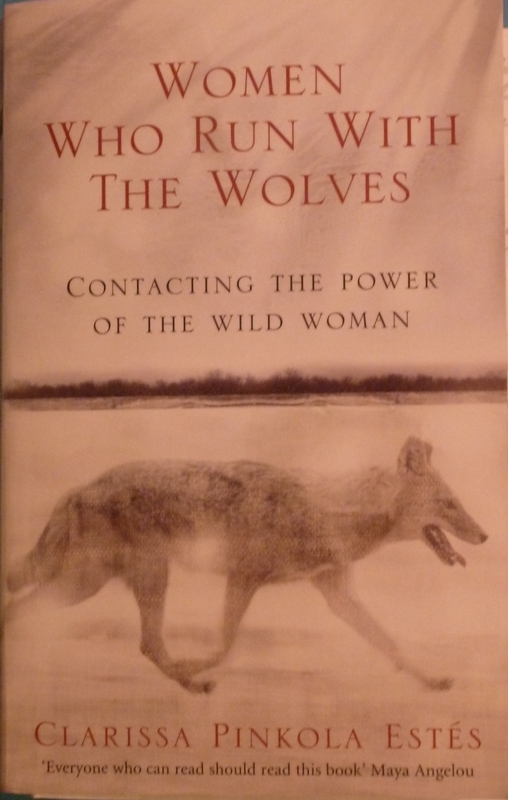 The name rang a bell, and I looked it up, to discover that Clarissa Pinkola Estes was the author of a book from the nineteen-nineties exploring myths and stories, ‘Women who run with the wolves.’ I recalled a friend recommending the book to me two decades before, but as I didn’t like the title I had never followed it up. I hadn’t thought of Clarissa Pinkola Estes once in the intervening years – to all intents and purposes, I had completely forgotten about her. She had only ever been, after all, a fleeting mention. But I bought the book, and am finding it very useful as I develop this new workshop series. I have dreamt the names of books, authors, gods and goddesses, which I may have come across long ago or sometimes can’t recall ever having heard of before, and it always happens at a time when following them up proves to be fruitful. Have you ever suddenly recalled to mind something you had effectively forgotten? Now that I’ve read your post, I have to wonder if that isn’t what may have happened to me. Back in 2004 I had a dream in which I was talking to a man I referred to as “Mitch.” Upon awakening, I felt compelled to put the dream into words, thus the premise for my first novel. “Mitch” became my lead character, and I have since grown to love the name, although I can’t recall ever meeting or knowing anyone named Mitch or Mitchell. Funny how things happen! How wonderful that your book was sparked by a dream conversation with your lead character, Debbie. It must have felt like you already knew Mitch before you even started writing his story. Thank you for the recommendation of the book Jenny. It looks like a wonderful read. I enjoy Jung’s work and the idea that dreams are occurring all the time. I find some of my most creative thoughts in that space just before I doze off to sleep, so I do always keep a notebook to hand. The mind is such a wonderful tool! Hi Carolyn – I’m sure you would enjoy the book. I find the space between waking and sleeping at the beginning of the night can be either very fruitful or else frustrating because my mind doesn’t want to switch off – but the space between sleeping and waking in the morning has always been my favourite part of the day!